Regular readers know what a big fan I am of Costco. So, at first glance my going there today and walking out without buying anything may seem bizarre. However, I didn’t go to shop. They had a wonderful promotion on – Free Healthy Heart Screening. It ran from 10:00 AM to 2:00PM. No appointment needed. Their brochure said, “Cardiovascular diseases rank as America’s #1 killer, claiming the lives of 40.6 % of more than 2.3 million people. 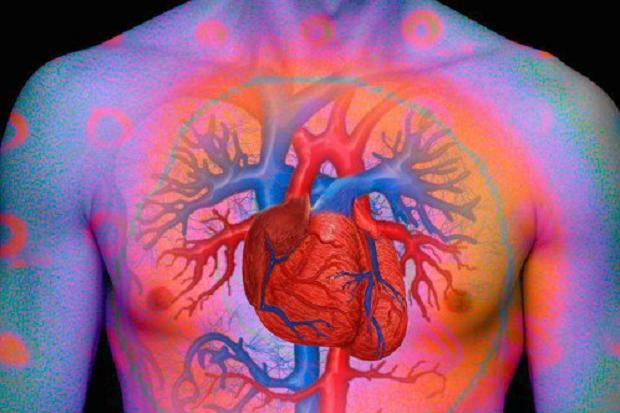 “* 60.8 million Americans have some form of Cardiovascular disease. “* On average, someone in the U.S. suffers from a stroke every 53 seconds. That means about 600,000 people have a new or recurrent stroke each year. They also offered a consultation with the pharmacist after your screening. Because I didn’t want to fast, I had the truncated screening – Total Cholesterol & HDL Cholesterol. If you fasted, you could get a full lipid panel, TC, HDL, LDL, Triglycerides TC/HDL ratio. I am the biggest fan of Dr. Oz. Ever since I read YOU on a Diet back in 2006. He wrote it with Dr. Michael Roizin. There is a revised edition from 2009 that you can pick up on Amazon here for $6.98. I recommend it. Dr. Oz writes for the man on the street who wants to eat healthy and not spend a fortune in the bargain. 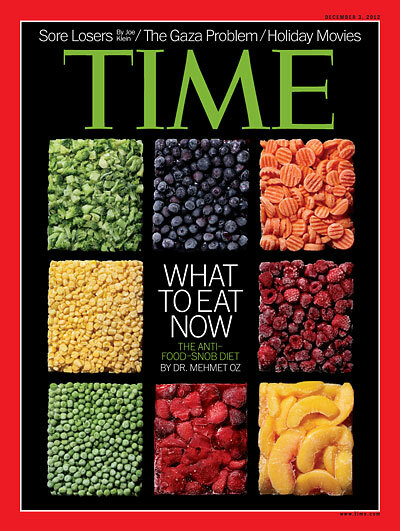 This week’s cover story is wistfully entitled Give (Frozen) Peas a Chance And Carrots Too. Love the word play on give peace a chance. I have run across any number of fascinating food items to add to my culinary vocabulary at Costco, seemingly an unlikely place for such discoveries. The discoveries include chia seeds, black rice, quinoa, and roasted seaweed to name a few. You can click the links to read about them. On my latest trip I encountered yet another grain that can also qualify as a super food – Raw Shelled Hemp Seeds. Frankly, they were as new to me as were many of the above. The bag boasted Source of Omega 3’s, 11 grams of protein per serving, all natural super food. “Hemp seeds are a terrific source of essential amino acids like our Quinoa, making them a complete source of protein.” Pretty impressive stuff. Andrea Cespedes writing for the Livestrong Group said, “Hemp seeds are a source of Omega-3 fatty acids and high quality protein. Sprinkle the tiny, ivory seeds on salads or cereal, add them to yogurt, include them in baked goods or mix them into smoothies. They have a nutty taste, reminiscent of sesame seeds. Adding hemp seeds to your diet offers multiple nutritional benefits. “A two tablespoon serving of hemp seeds contains 160 calories. Hemp seeds are approximately 12 percent carbohydrates, meaning this serving size contains about five grams of carbohydrates. Two tablespoons of hemp seeds provides just one gram of fiber. 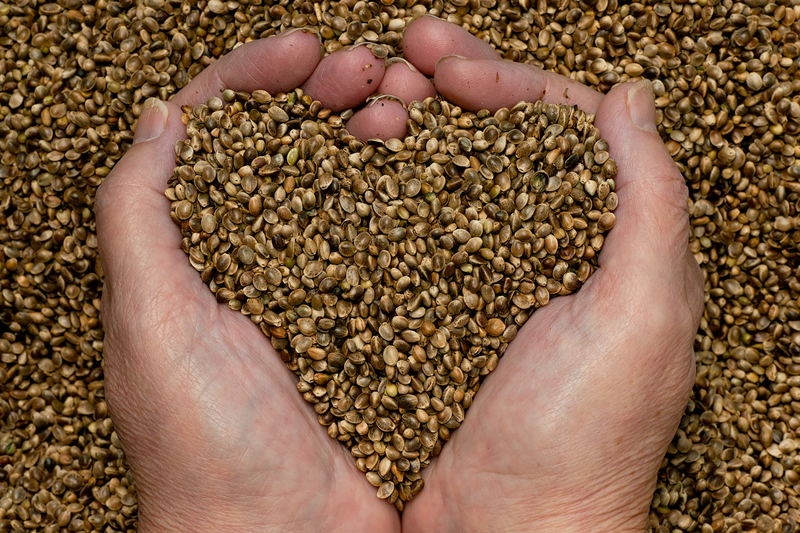 “Hemp seeds contain 10 grams of fat per 2-tablespoon serving, almost all of which is heart-healthy unsaturated fats. Hemp seeds provide significant amounts of omega-3 fatty acids. This type of unsaturated fat helps with brain development and function and protects against heart disease.